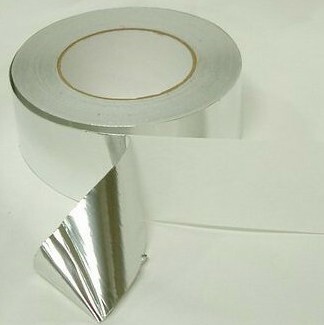 Aluminum foil backing coated with a strong, durable adhesive. For sealing heating and cooling air ducts, especially the new duct board systems. The malleable foil applies easily to both fibrous and sheet metal ducts and conforms to irregular surfaces. This tape has superior bonding when exposed to either sub-zero or elevated temperatures.